A couple years ago we searched for the perfect social media tool. We trialed a slew of possibilities including Buffer and Hootsuite. 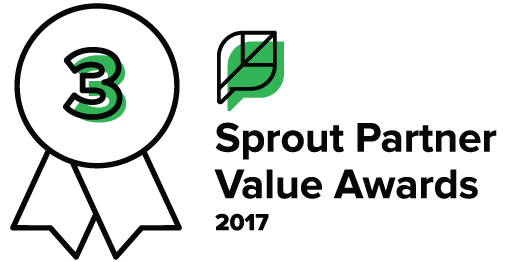 However none of the platforms we tried met our exacting standards, until we tried Sprout Social. Due to the varied nature of our client list, the sheer number of profiles we managed on a daily basis, and our commitment to cross-media integration, we needed a robust platform that could grow with us and be responsive enough to handle our requests and recommendations. Best of all, as a Sprout Agency partner RAVE has first access to advances with the platform. We’ve already had the opportunity to beta test new features before the general public has access to them. Our partnership enables us to have first line access to make product suggestions. We also get an inside look at the Sprout roadmap, giving the ability to prepare for upcoming changes well before they are made. Why use RAVE as Your Social Media Partner? There are thousands of individuals and agencies to choose from that offer social media management. 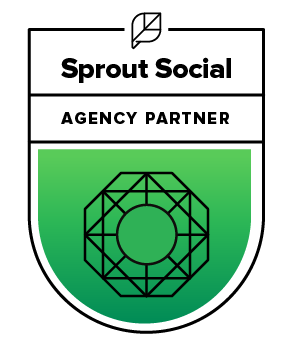 As part of the Sprout Social Agency Partner Program, we collaborate with their amazing product team which elevates our ability to offer forward thinking results. We offer expertise in organic and paid social media campaigns. As a full-service agency we go well beyond social media, we strategize, analyze, optimize, and implement all other media Across all digital and traditional media, we deliver the best possible ROI on your marketing investment. If you looking for a social media partner able to produce the best results from social media, contact us today.